We headed off to London for a long weekend this weekend as it was Isaac’s birthday and we’d also been promising to take Freya to London for ages. 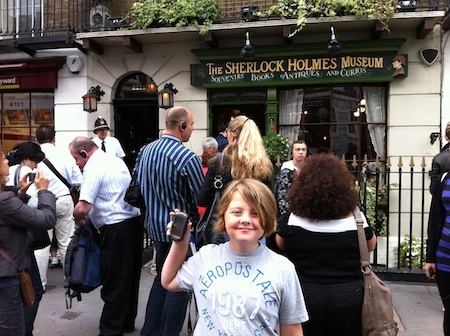 We booked a hotel near to Baker Street and off we set. We caught the train to Euston station and travelled the short distance by underground to our hotel to drop our bags off. We then headed off to do some touristy things (and find a few caches!). First stop was Buckingham Palace, from where we walked down the Mall to Trafalgar Square to bag a new Earthcache at a statue in the square. A bit of an odd place for an Earthcache but great fun nonetheless – there was even a fossil to find in some stone at GZ, which the children really liked. 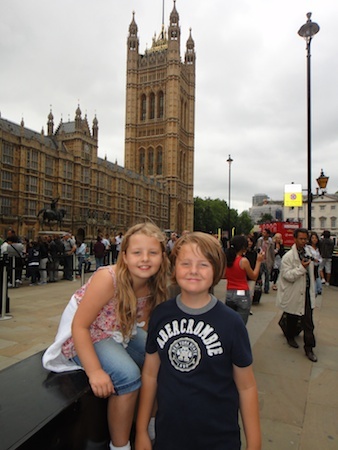 We then headed down Whitehall to do a virtual cache near the Houses Of Parliament, on the way to a trip on the London Eye. After we’d rode the Eye, we did a few more caches round the Waterloo area before heading over to Victoria for a few more caches, including one outside the old home of Ian Fleming, who was the famous author of the James Bond books. First stop today was St Paul’s Cathederal as we’d all wanted to climb up to the Whispering Gallery for ages and it seemed like a good time as any to do it. The fact there were lots of Virtual caches in the area might have helped the decision too ;-). From St Paul’s we headed down towards the River Thames for one more Virtual and then the Little Quest cache that represents London. This is a series of caches, one in each county of England, all leading to a final bonus cache hidden somewhere in Lancashire. We’re never ever going to finish the series, but do try and do any from the series if we are near them. 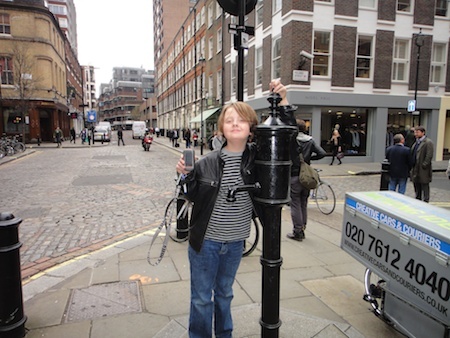 The last cache of the day was a Virtual at the top of the HUGE monument to the Great Fire of London in Pudding Lane. 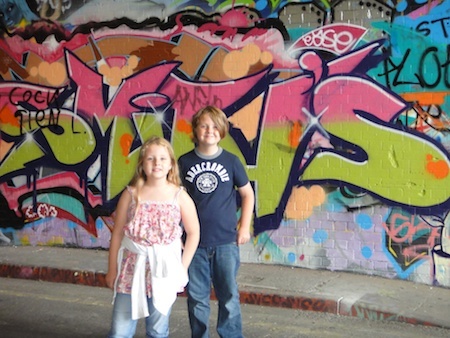 This is somewhere Freya has wanted to see for ages – in fact ever since she did about it at school. We were running out of touristy areas with many caches left to find today, so ended up heading off to look round the Tower of London in the morning. 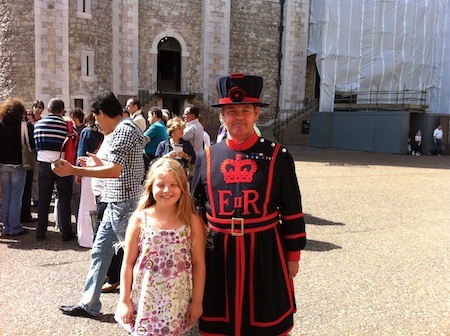 We managed to find our way into the City and do a few caches around the area after coming out of the Tower. 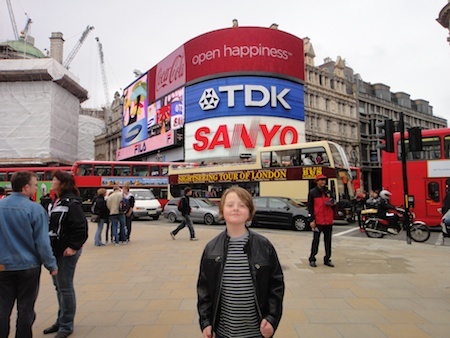 From there, we headed off to do a webcam cache at Oxford Circus before hitting the shops for a few hours. Just our luck, the wevbcam was down for the few hours we were in the area, so we took a snap of the webcam down image and took our own photo of Isaac at GZ anyway. Thankfully the cache owner has let this stand as a find under the circumstances :-). The last cache in London was a cache we’d DNF’d on our last trip to the area, just off Regent Street. This time I’d studied the photos on the cache page and we walked until we could match the photos and had an easy find. Just time for a visit to the MEGA-HUGE new Apple Store that opened in Covent Garden yesterday (did I say it’s absolutely HUGE? ;-)) and some tea before we had to catch the train home. A great few days away with lots of things seen and done, but not that many caches found. Then again, we were not expecting to find that many caches as that’s not the main reason we went to London :-). 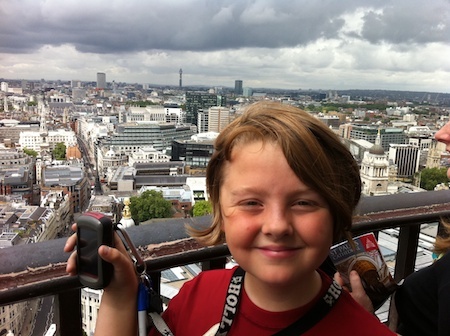 Isaac has been asking to go to London for as long as I can remember. The nearest we’ve got in the past is Heathrow airport, which does not quite do the city justice. 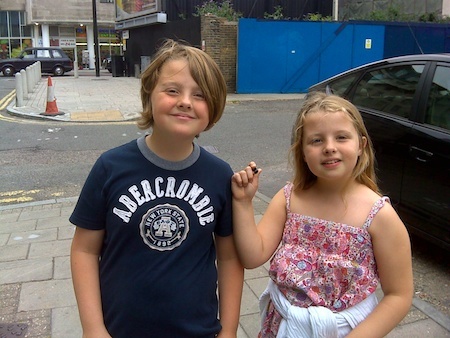 As he’d broken up from school a week earlier than Freya, we decided Isaac and myself would go for a few days in London to keep him from getting bored about the house. 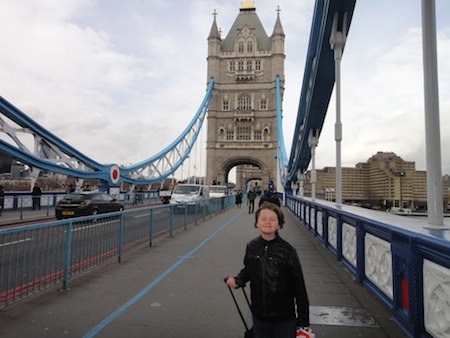 He really wanted to see the touristy sights but also wanted to do caches as we were in the various areas of the city. We got the train down to London and arrived about dinnertime. After dropping our bags off at the hotel, we set of for a walk round my old University – Imperial College in South Kensington. Isaac really wanted to see where I’d gone so I took him round the main parts I remembered. On the way we had a half-hearted look for a cache by the Royal Albert Hall, but did not get much chance to look as too many muggles were around. 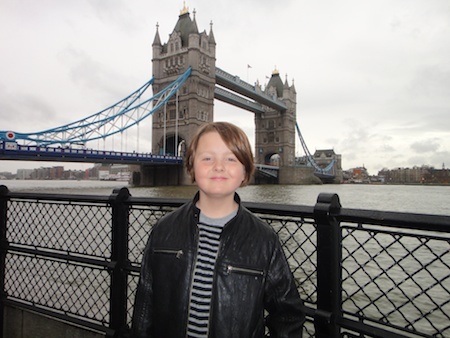 We then headed off to the Tower Of London and Tower Bridge, taking in a couple of interesting virtual caches while we were there. The second one in particular took a while to do as the plaque with the information on blended in to the building it was on and was not that easy to spot. We then relocated to the Houses Of Parliament and headed off up Whitehall taking in a few more caches, notably two Sherlock Holmes virtual caches (that were listed on GC.com as Multi’s for some bizarre reason!). 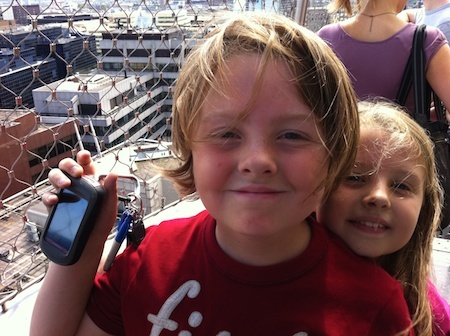 After working our way up to Piccadilly via some more caches (and the Apple Store! ), we took the tube to Tottenham Court Road as we had tickets for Queen’s excellent We Will Rock You show at the Dominion. Before the show we had time for an excellent curry and one final cache just down a street opposite the theatre. 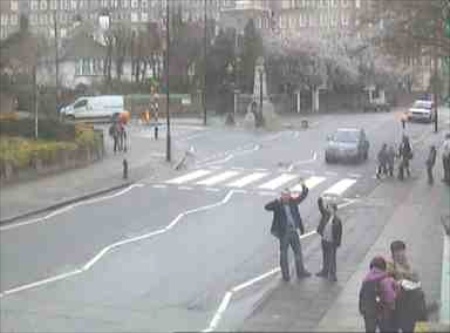 Isaac is really into The Beatles so we decided to start the day with a visit to the famous pelican crossing that is on the cover of their Abbey Road record. Isaac had researched where to go, so off we set. Of course, I’d noted there was both a webcam cache and a virtual cache at the studios, which we did while we were there ;-). We then headed off to Green Park to walk over to see Buckingham Palace. On the way we bagged yet another Flonopoly cache. After we’d seen the palace, we headed off into the Victoria area as there are quite a few caches there to do. We managed to do quite a few but had a DNF on one that was definitely not where the hint said. I’ve since seen the owner has checked on it and says it’s still there, so I can’t imagine where it was. Very odd! 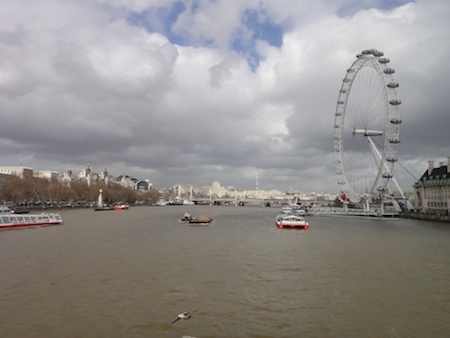 We’d bought tickets for a ride on the London Eye earlier in the day so headed off there next. On the way over Westminster Bridge we bagged another quick cache by some lion statues. 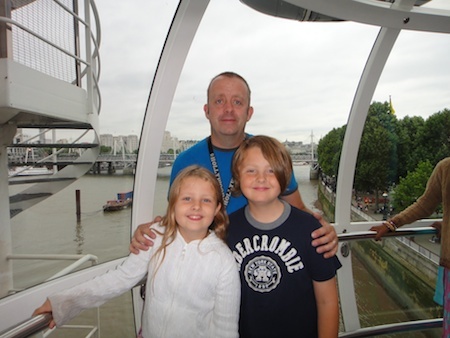 The ride on the London Eye was really good but it was raining so some of our photos are not quite as good as they could have been. Another excuse to come back to ride it again methinks ;-). We walked over the Millennium Bridge back towards Trafalgar Square, taking in a few more caches on the way and ended up near Covent Garden, where we did a quick virtual cache and had a lovely Italian meal. After we’d eaten we headed off to do some shopping. 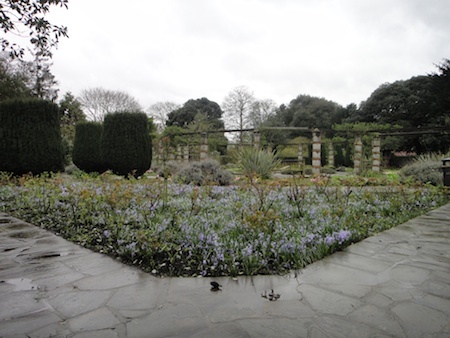 We started off with a trip out to Ravenscourt Park (just west of Hammersmith) so Isaac could see where I lived in my second and third years at University. There were two caches in the park next to this, so of course we went off to do them. Rude not to ;-). We then headed back to South Kensington and the Science Museum. There is a Puzzle cache based around picking up clues in the museum but it’s quite involved and so we left it for another time as we wanted to look round the museum at our own pace. After we’d done in the museum, we decided we just had time to do the virtual cache at the Victoria and Albert museum round the corner. This involved locating a statue in the museum and using some text in a nearby sign to prove your visit. Isaac was reluctant as it’s not his kind of museum (not mine either come to think of it!) but it did not take too long and ended up being good fun. Next stop was London Bridge station and the walk down to the Design Museum. Both Isaac and myself really appreciate good design and so we were both looking forward to the museum. We were not disappointed :-). On the way we bagged two more caches, which were to be our final caches in the capital. We then headed off for Euston station and the train home. 29 caches found in the short trip, which is not too bad considering all the muggles everywhere.